When take a look on the league position of those rivals and the situation in which they have begin this season, there is no reason for naming young Seville squad as favorite for win. They have been relegated from Serie B in the recent year, and roster has been changed completely. With the new coach, and no players from side, they have lost first two games in the competition. Now, with the big pressure are facing San Fenrando, which is coming here after win and a draw. 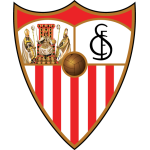 Without much experience and following their drop for one level, Seville B could take some time to get fully recovered, and this is a chance for away team to make first victory here in their duels. 10:00 Granada CF B - Marbella ?-? 15:00 Almeria B - CD Badajoz ?-? 16:00 Jumilla - Murcia ?-? 16:00 Malaga B - Villanovense ?-?